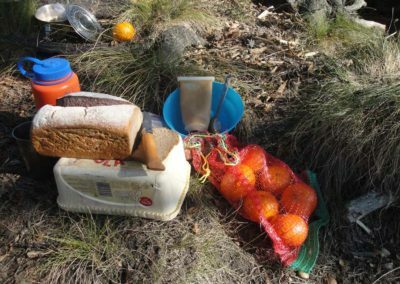 Hikers with more time on their hands and a taste for the wilder side of the Cape’s mountains will be pleased to hear that multi-day hikes are very much part of the outdoor experience here. Overnight hiking in the Western Cape takes you to places where leopards still roam, of primal, element-carved landscapes and utter silence. And you don’t even need to rough it. 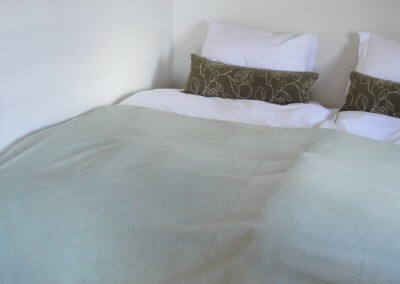 There are camping trails naturally, but there are also comfortable cottages with hot showers and fresh linen on the beds. 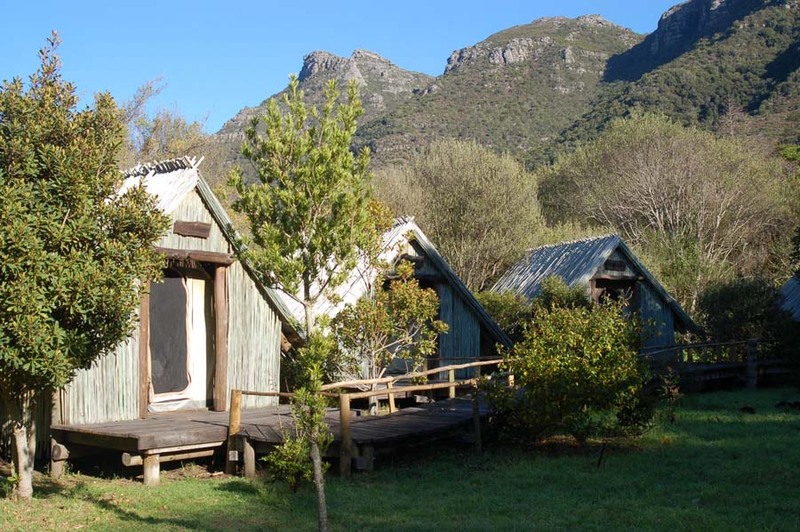 Overnight hiking can also take in self-catering chalets and permanent tented camps complete with kitchens and bathrooms. 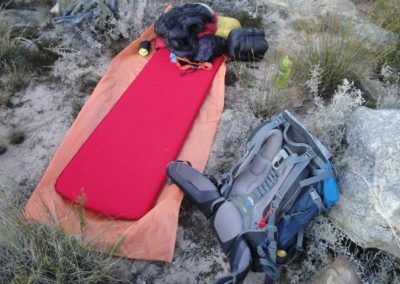 You can choose the number of nights you want to spend on the trail. 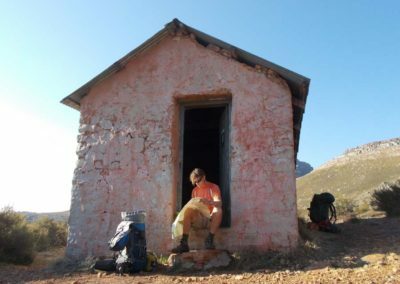 There are some great 1-night/2-day trails in and around Cape Town but if you want to hike further afield in bigger and wilder mountains, then a minimum of three nights is required. 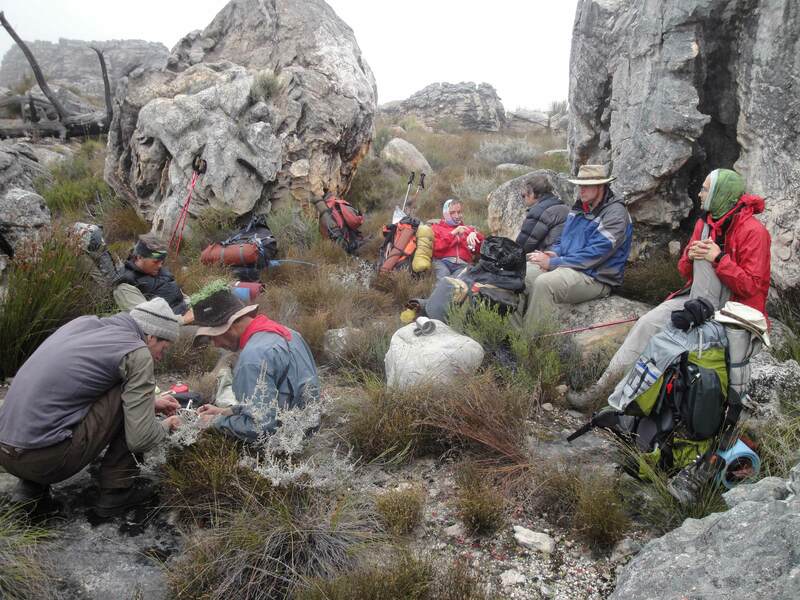 Like any mountain range, the Western Cape’s mountains are subject to the dangers of weather and terrain. You’ll need to have a good level of fitness as well as the right clothing and equipment. 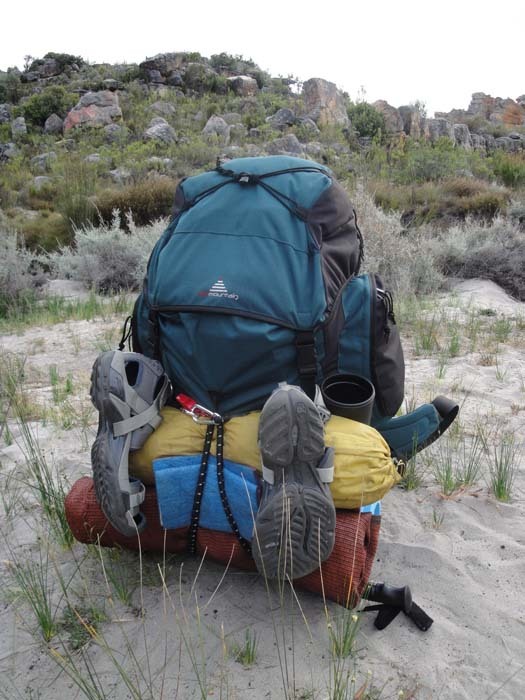 That said, multi-day hiking in the mountains of the Western Cape is hugely rewarding for nature lovers and outdoor enthusiasts – safe, scenic and simply sensational. Cape Town’s iconic landmark has a secret: Table Mountain just is the start of a long mountain chain that runs almost unbroken to Cape Point, 70 kilometres (43 miles) away at the very tip of the peninsula. 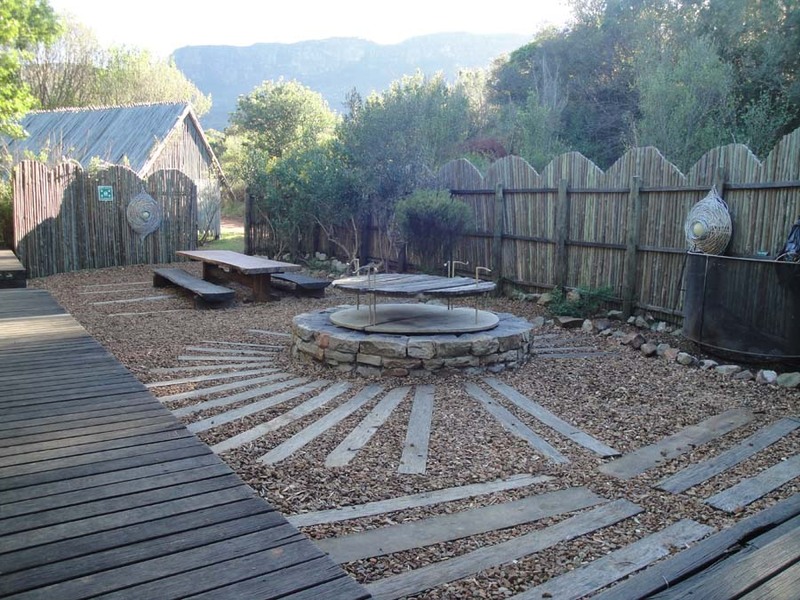 Self-catering tented camps lie along the way, making for a traditional form of hiking accommodation, but it’s easy to create an itinerary with guesthouse accommodation too. 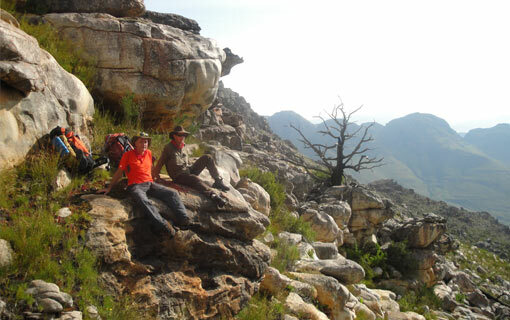 There are two highly recommended overnight trails on the Cape Peninsula. 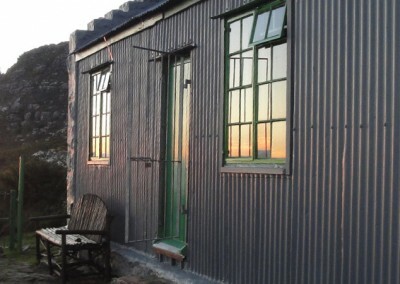 The first is on Table Mountain and has a choice of accommodation and routes. 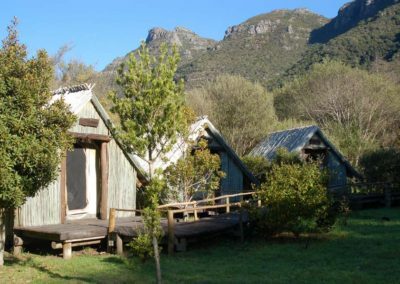 The second is at the Cape of Good Hope Nature Reserve which has a night at self-catering cottages as part of a 2-day hike. 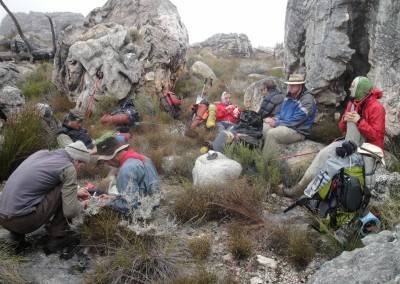 Find out more about Overnight Table Mountain hiking here. 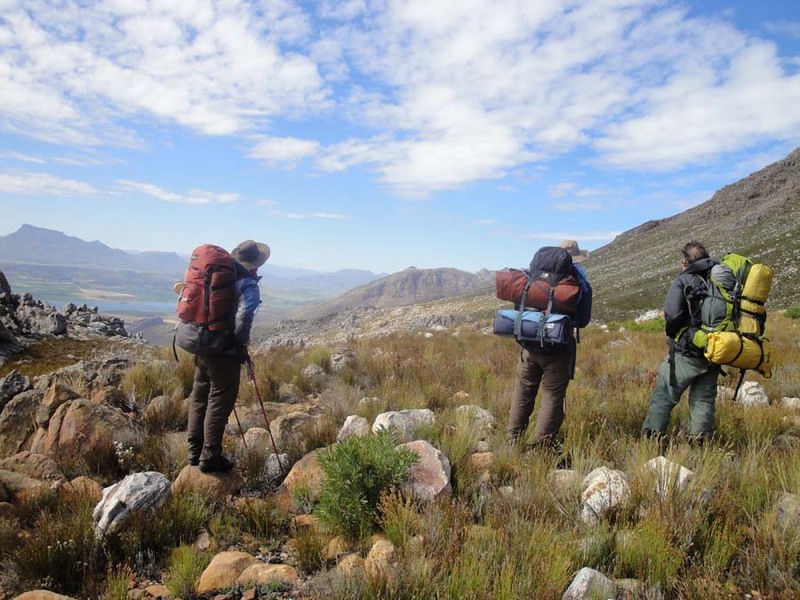 The mountains above Stellenbosch may look over the generous curves of vineyards and snug manor houses of the Cape Winelands but these mountains are half again as high as Table Mountain and offer true wilderness hiking. 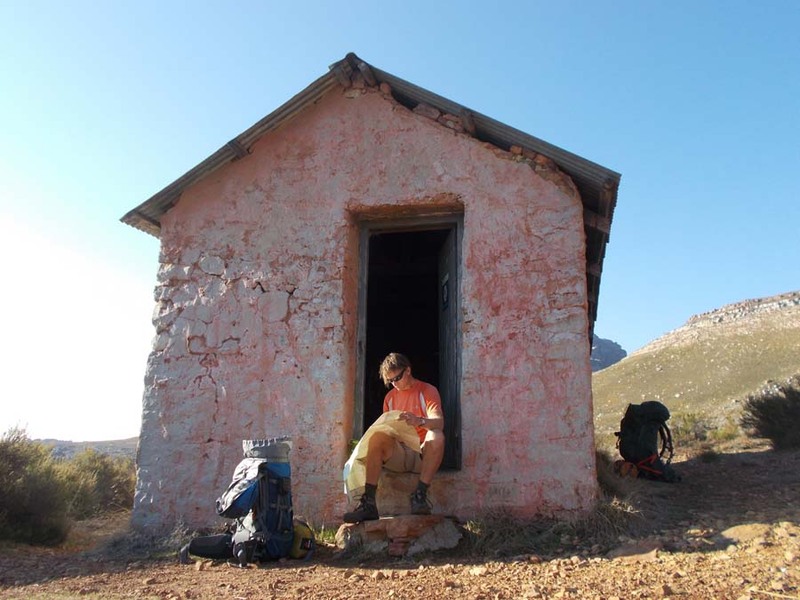 A 2-night, 3-day trail runs from the Jonkershoek Valley in Stellenbosch into the remote Hottentots-Holland Mountains, running on high mountain paths where leopard tracks are often seen. Accommodation is in rustic mountain huts – all food and sleeping bags are needed but no tents. 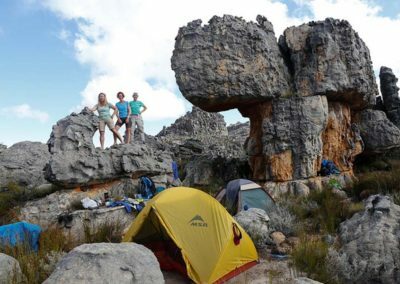 The Cederberg Mountains are the Western Cape’s most accessible big mountain range and offer real-deal wilderness hiking. 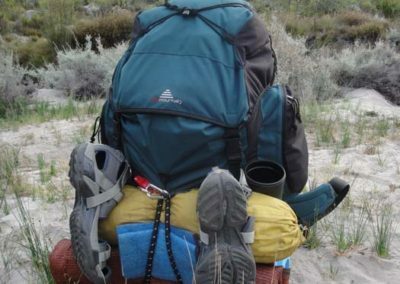 It’s wild and remote out here, and you’ll be putting in big days of hiking. 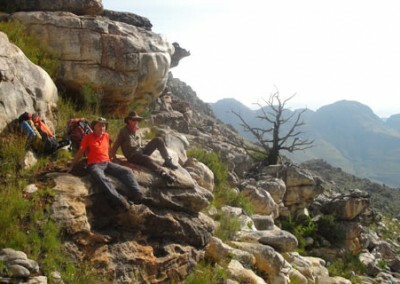 But the Cederberg is strikingly, almost impossibly beautiful and home to more wildlife than you’ll see anywhere else: baboons, antelope and signs at least of the ever elusive leopard. 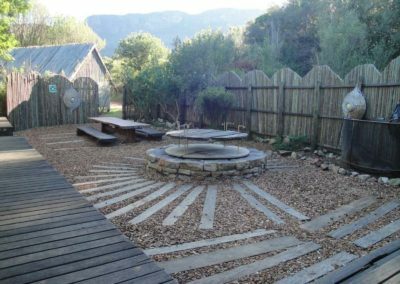 Accommodation is a mix of basic mountain huts and camping in tents but the Cederberg’s trump card is that it also has comfortable camping sites and self-catering cottages in the valleys – perfect for enjoying Cederberg hikes while having all the comforts of home at the end of the day. Find out more about the Cederberg here.